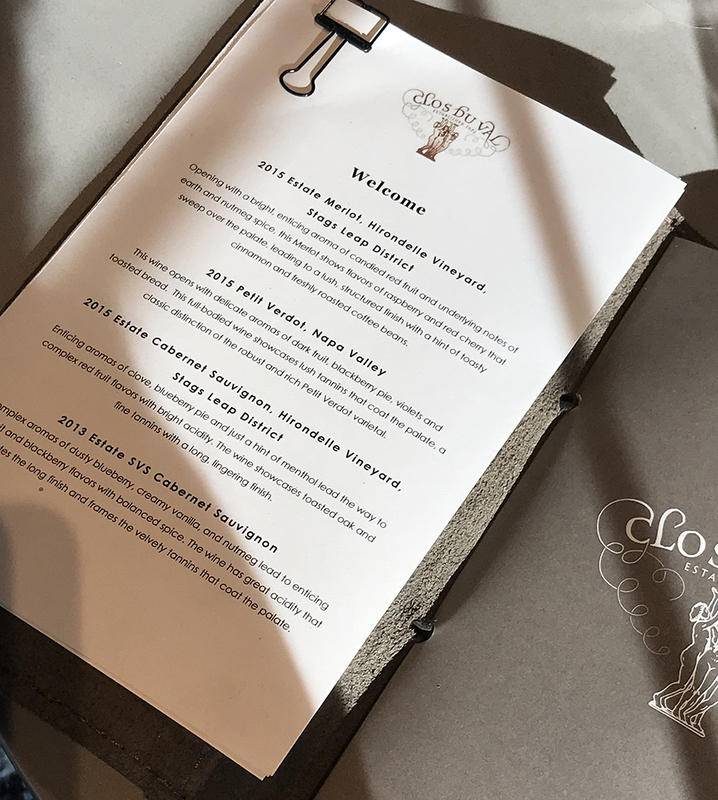 Clos Du Val has been a winery staple in Napa Valley ever since their Cabernet Sauvignon won eighth in the ‘Judgement of Paris’ tasting in 1976. Now the tasting room has a fresh new look with contemporary architecture and modern finishes. With all the new wineries popping up in the Napa Valley on a yearly basis, some extremely elaborate, it’s no wonder why wineries need to keep reinventing themselves to keep up with the competition. Whether it be adding new wines to the portfolio or branching out to seek a more innovative winemaker who pushes the envelope, you can feel the competitive edge to get more traffic to the wineries. 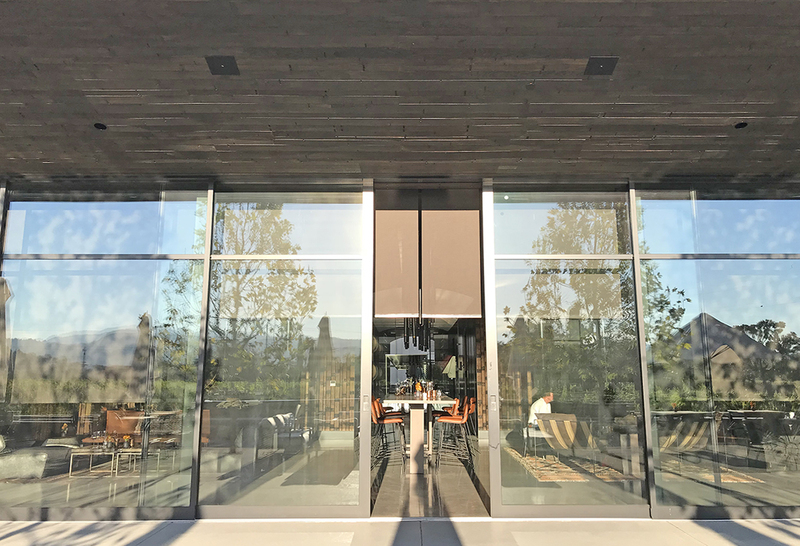 The days of quaint dark tasting rooms aren’t over yet, but I do see a move from traditional architecture to an open, airy and modern take on a tasting experience, one that invites the outside in and emphasizes sustainability and even the challenge to become LEEDS certified. Clos Du Val has been making wine since the early 1970’s. Their 1972 Cabernet Sauvignon took eighth place in The Paris Wine Tasting of 1976 helping put Napa Valley on the world wine map. As long as I can remember visiting Napa Valley, my first stop was always Clos Du Val. The traditional tasting room had an energetic vibe, always bustling with tourists and oenophiles. On the outside, beautiful ivy crawled up the wooden structure, covering most of the winery building. Inside the original Clos Dul Val tasting room in 2003. Always our first stop. But Napa Valley is changing, and Clos Du Val was smart enough to realize that and move with the times. The new tasting room is stunning in every aspect. Massive glass walls enhance the vineyard view, and the lighting hits the trees just right casting beautiful shadows straight into the tasting room. New furnishings and tasting areas as well as private tasting rooms, and a massive patio allow the winery to host more guests. 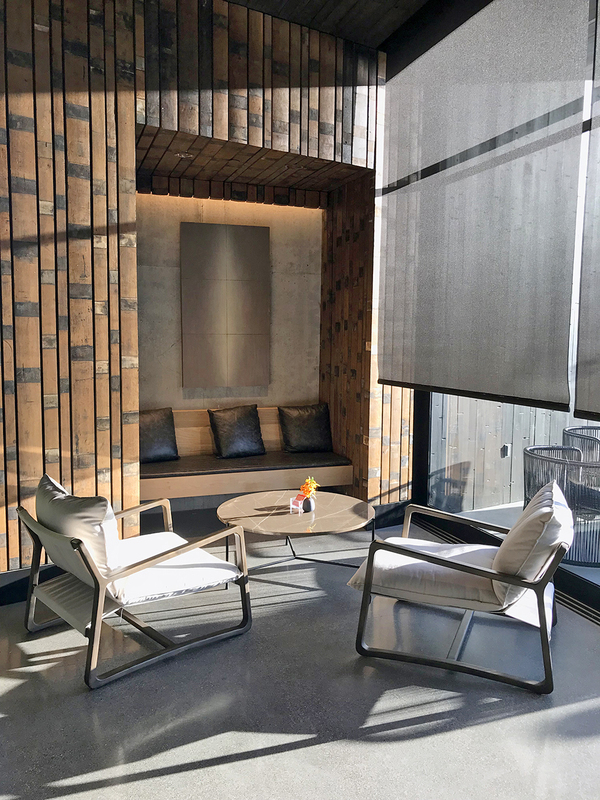 The tasting room was a collaboration between San Fransico Architect Michael Guthrie and Saint Helena Designer Erin Martin. It is innovative yet has its rustic elements such as walls cladded in barrel stays using the original large production barrels from the property. The furniture is modern, yet cozy and the colors are warm and inviting. The tasting room has several little nooks to taste in, but the focal point is the communal tasting table in the center of the room which provides plenty of space to entertain a larger party or several smaller ones. 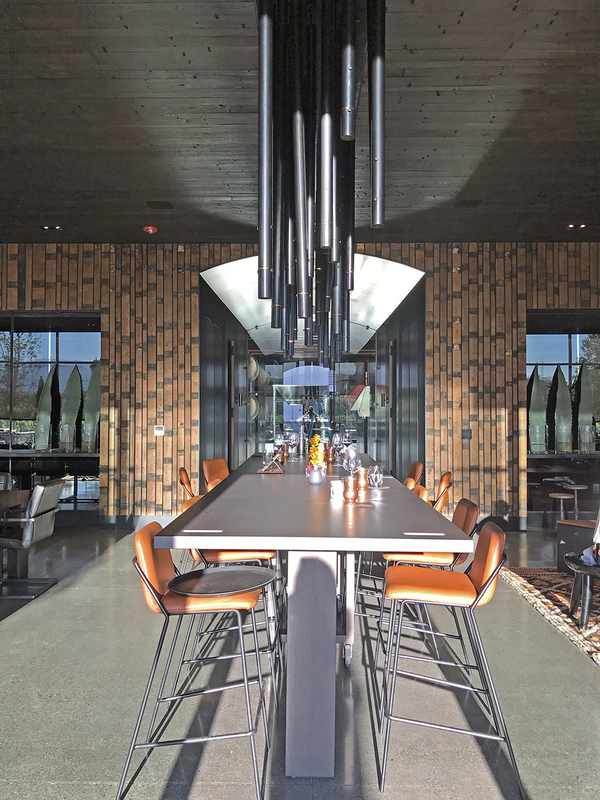 Above the communal table as a large light fixture reminiscent of several giant wind chimes, grounding the large open space. Behind the center of the room is an elegantly arched hallway that leads to the production room, noticeably upgraded with new equipment. Clos Du Val is also in the process of shrinking its production numbers, being more selective on where their distributed wines will be available to the public. Most single vineyard Clos Du Val wines are only available at the winery itself. Currently, they are offering a few different tasting options and sometimes they will sneak in something special that isn’t on the list. Generally, you will be tasting some pretty high-caliber Cabernet Sauvignon, Petit Verdot, Cabernet Franc, and Chardonnay. If you are looking for something other than a tour or tasting, Clos Du Val features their Family First experience. Enjoy a lovely picnic basket lunch for two from Bouchon with a bottle of wine for $125. This is a great idea for lunch or even if you are traveling with pets or large groups since extra picnic lunches are available (reservations required). If you are a local or just planning your Napa Valley tasting trip, I highly recommend Clos Du Val. The staff is friendly, and the wines are fantastic. It’s the ultimate starting point for a day of tasting on the Silverado Trail.